Chevrolet Motor Company has a long and interesting history. Among the many interesting tales of the automobile industry's early days, the story of who invented Chevrolet stands out for its drama and poignancy. It's the story of a short-lived partnership that sparked both great success and abject failure. Two men are responsible for the invention of the Chevrolet automobile: William C. Durant and Louis Chevrolet. Although Chevrolet vehicles still bear his name, Louis Chevrolet represents only a small part of the history of the Chevrolet Motor Company. Born in Switzerland in 1878, Louis Chevrolet was a noted race car driver at the time he formed Chevrolet Motor Company with William Durant. Although Chevrolet was born in Switzerland, his family moved to France in 1886. Chevrolet's automotive career began in France, where he worked at a mechanics shop from 1895 to 1899. In 1900, he immigrated to Montreal, Quebec, where he worked as a chauffeur and a mechanic. His racing career began in 1905 when he was hired as a race car driver by Fiat. He went on to drive for Buick, where he learned about car design. He opened his own machine shop in Detroit and designed a six-cylinder engine with an overhead valve. He used his designs to partner with William Durant and create the Chevrolet Motor Company. Who was William C. Durant? William Durant was born in Boston, Massachusetts in 1861. By 1886, he had created the Flint Road Cart Company, an extremely successful carriage manufacturing company with worldwide sales and a value of about $2 million. The company, which became the leading manufacturer of horse-drawn vehicles, eventually became known as the Durant-Dort Carriage Company.While Durant started out his career with a great deal of skepticism toward the new invention of the automobile, he went on to become one of the founding fathers of General Motors. He started out his automotive career as president of Buick, then moved up to the management of General Motors. He lost control of the company in 1910, and in 1911, he entered into a partnership with Louis Chevrolet. Together, Durant and Chevrolet created the Chevrolet Motor Company, but the partnership became plagued by disagreement. 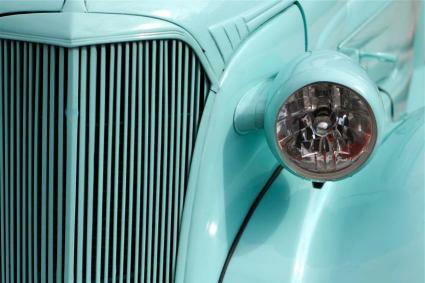 The initial model of the car, the "Classic Six," was a hulking and impressive machine, but it retailed for $2150. That sum put it well out of reach for most American consumers, narrowing the target market to only the very wealthy. Durant felt that the company would be more successful if they designed affordable cars for the masses, but Chevrolet disagreed. The cars carried his name, and he wanted them to be imposing and powerful. Designing a more affordable car meant sacrificing some of the power and stature of the original vehicles, and Chevrolet objected to this idea. In 1915, Chevrolet left the Chevrolet Motor Company, selling his shares to Durant. Although he could not know it at the time, this was precisely the wrong moment to dissolve the partnership. Durant went on to incorporate Chevrolet Motor Company into General Motors, making it one of the most successful car companies in U.S. history and making Durant one of the most successful men of the time. After the dissolution of the partnership between Durant and Chevrolet, the two mens lives took very different courses. Using the Chevrolet Motor Company, Durant gained a majority stake in General Motors and went on to resume control of the company. He left GM and went on to create his own motor company, Durant Motors. That company was destroyed by the stock market crash of 1929, and Durant lived out the rest of his life on his pension from General Motors. He managed a Flint, Michigan bowling alley until his death in 1947. After he left the Chevrolet Motor Company, Louis Chevrolet threw himself back into the world of auto racing. He went on to place 7th in the 1919 Indianapolis 500 and competed in the race four times. He and his brother Gaston created the Frontenac Motor Corporation. Chevrolet was almost penniless when he died in 1941. When asked who invented Chevrolet, most automotive historians agree that in the end, it was both William Durant and Louis Chevrolet. Both men brought innovation and creative drive to the company, and we likely wouldn't have the current General Motors line of vehicles without their initial partnership.